This is that long awkward time of year between winter and spring. 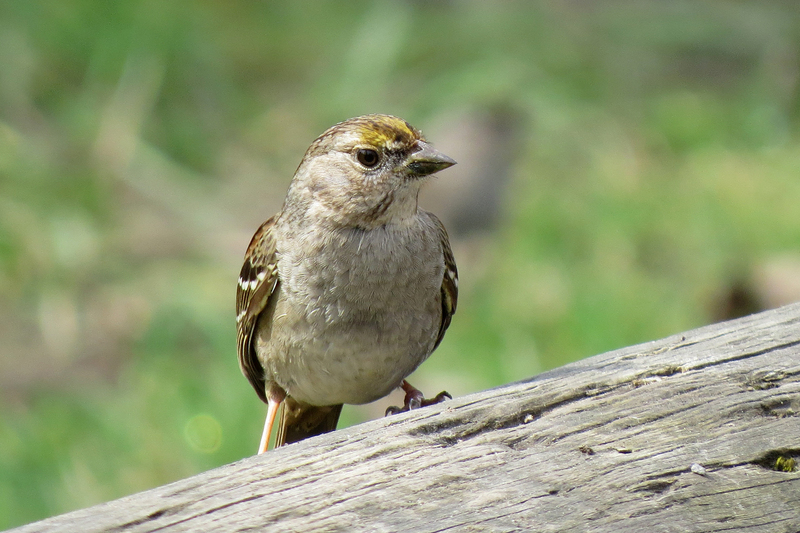 The big winter flocks have broken up, but the spring migrants haven’t returned yet. 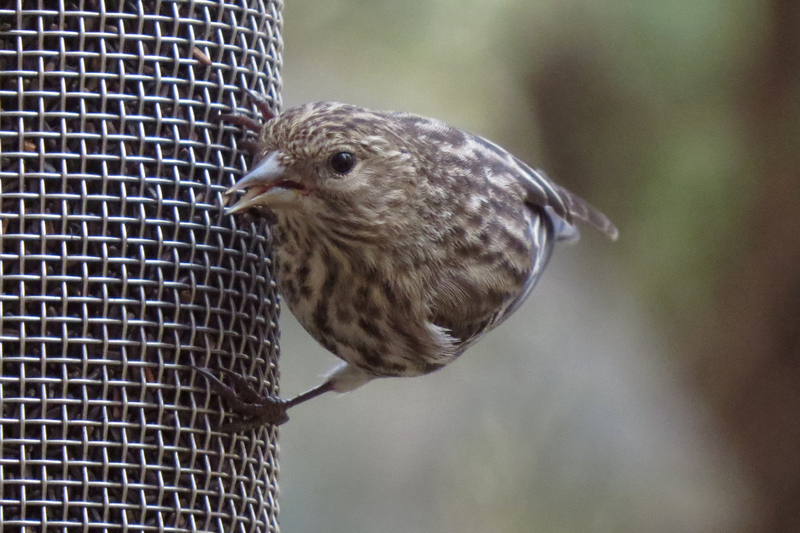 As I have said before, there is always something to see, but we have to find simple pleasures until the full decadence of spring migration commences in a month or so. 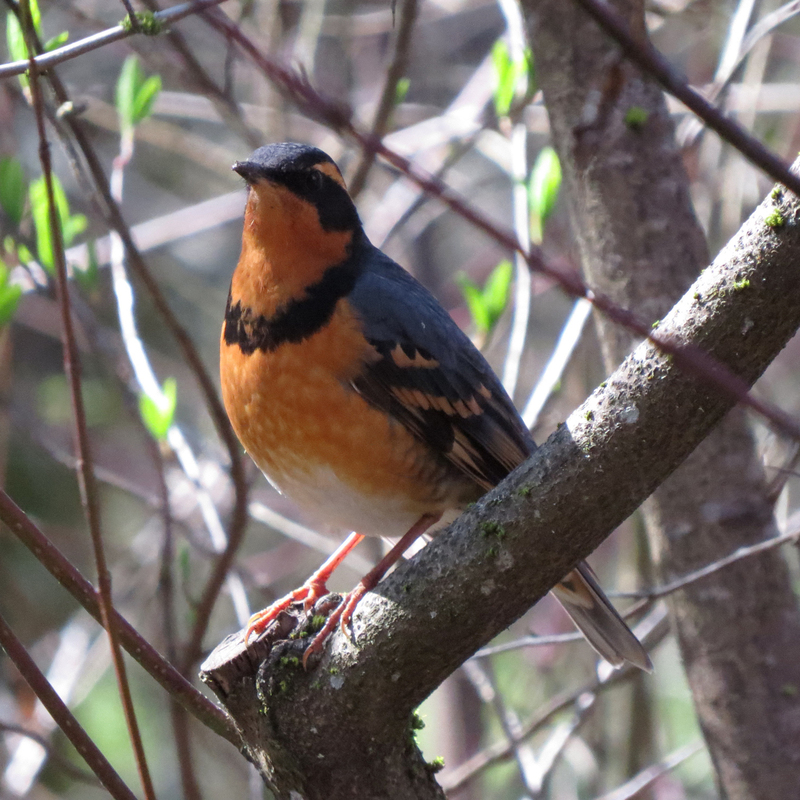 On a recent sunny day, this Varied Thrush perched outside the living room window. I don’t often see this species in sunlight. They are usually muted by the gloom of a rainy day or the shadows of the forest. 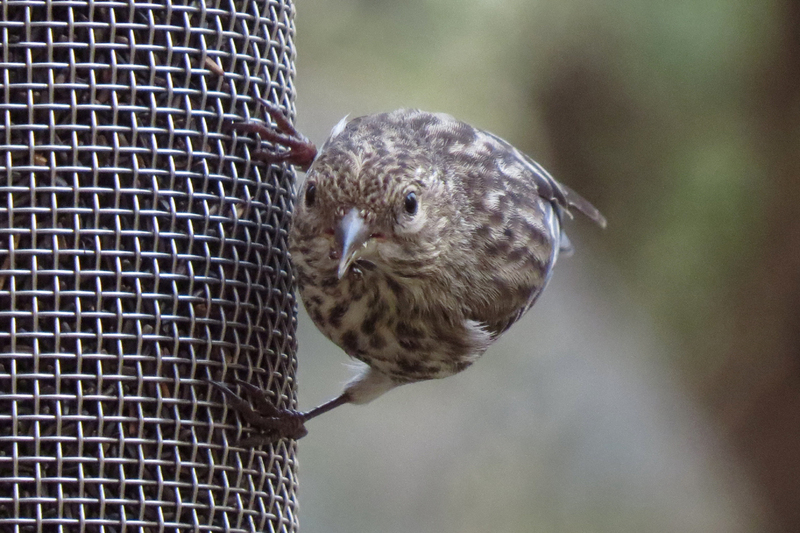 For some reason, songbirds just look weird when viewed from the front. 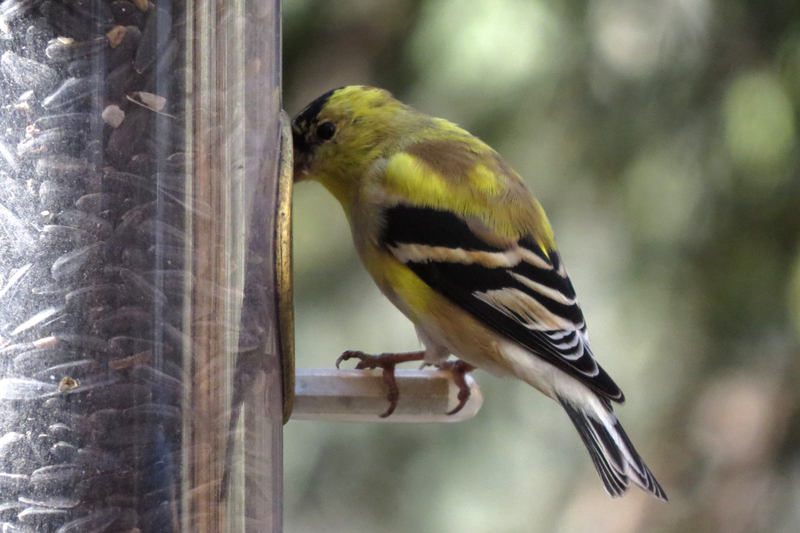 The male American Goldfinches are starting to get their summer color. This fairly large tree has been felled by Beavers at Smith and Bybee Wetlands. 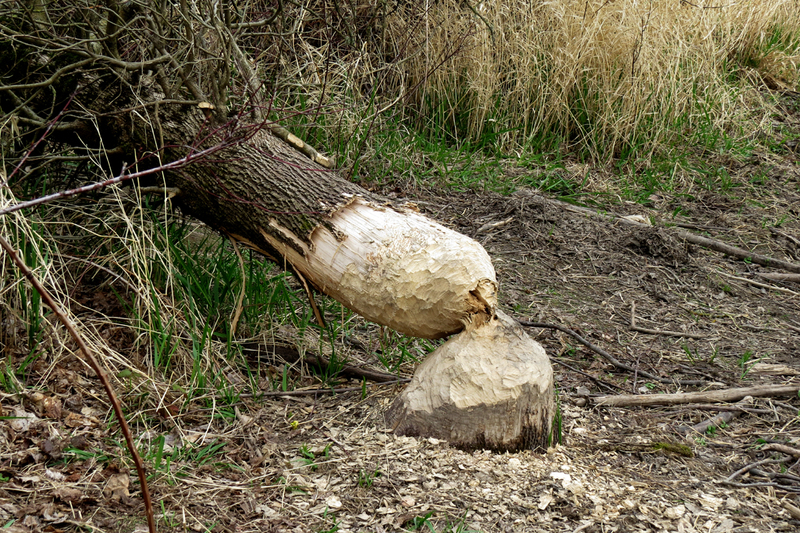 None of the branches appear to have been eaten, so I don’t know why the Beavers felled it, perhaps because it was there. 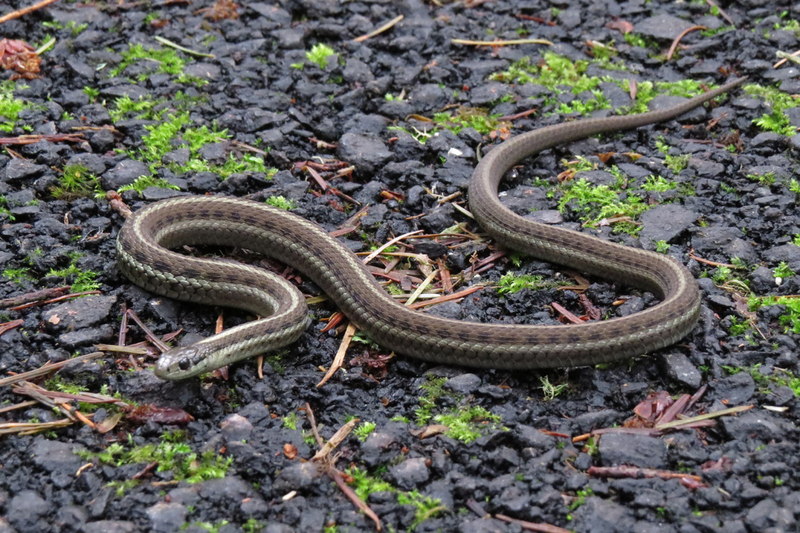 Northwestern Garter Snake, Tualatin Hills Nature Park. I am making the identification based on the small head, although I am not completely comfortable differentiating Northwestern Garter from Common Garter. 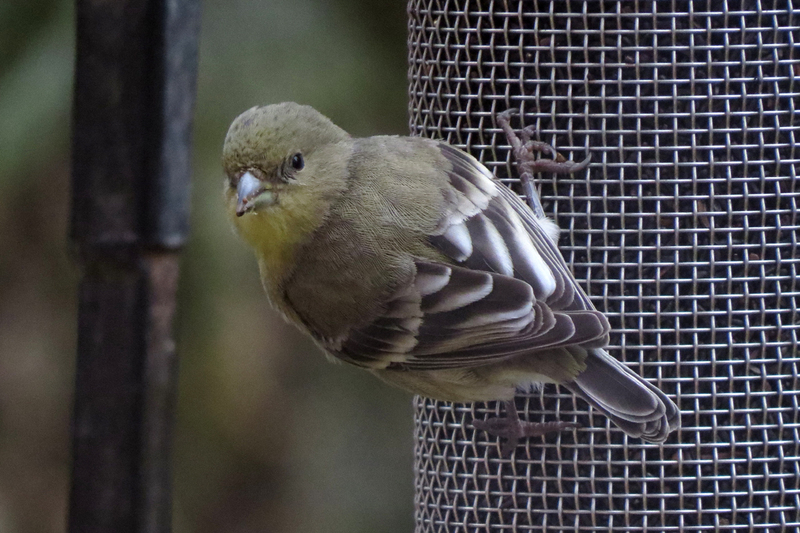 This entry was posted in mammals, reptiles & amphibians, seasonal movements and tagged American Goldfinch, Beaver, Golden-crowned Sparrow, Lesser Goldfinch, Northwestern Garter Snake, Pine Siskin, Varied Thrush. Bookmark the permalink. Wow! Looks like you have been getting out a lot this week! 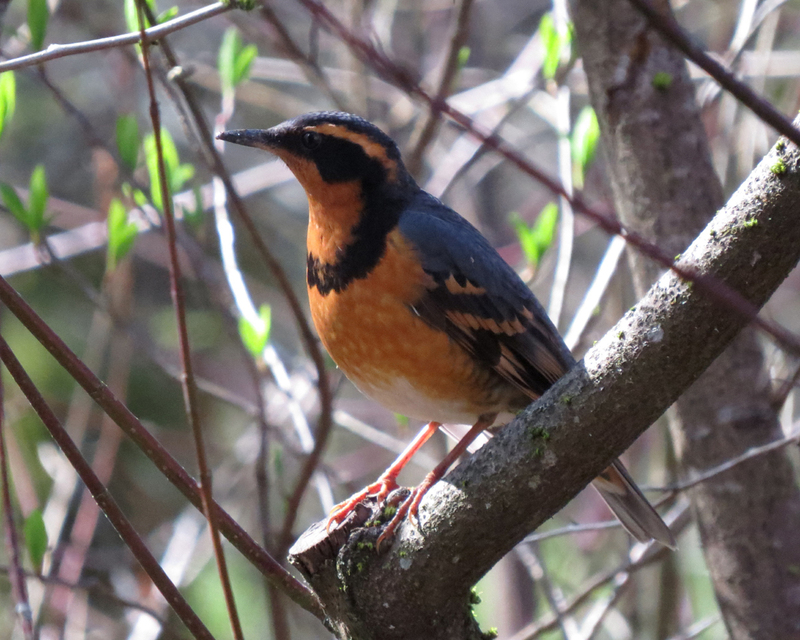 Beautiful Varied Thrush photos. 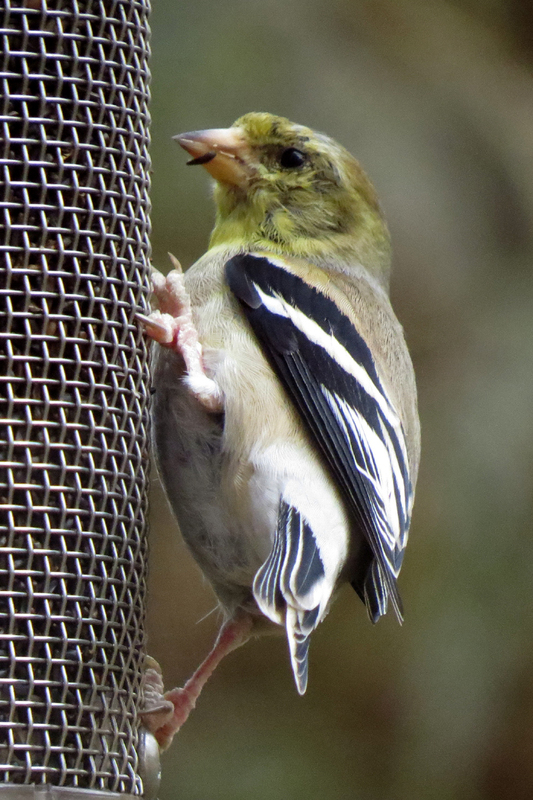 I was very excited the first time I saw one of these visit my yard.